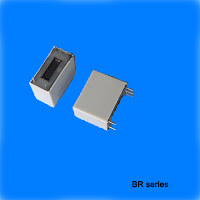 General-Purpose Relays - Misensor Tech (Shanghai) Co.,Ltd. Reed Relay are ideally used for switching applications requiring low and stable contact resistance ,low capacitance ,low capacitance , high insulation resistance,long life and small size . 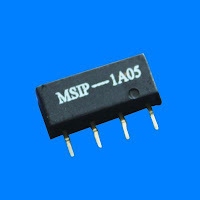 For specialty requirements such as high RF switching ,very high voltage switching . 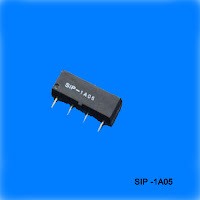 SIP&MSIP series :They are designed in a miniature rugged thermoset overmolded single-in-line package ,reducing the required PCB space to a mininum, with a choice of normally open ,normally open high voltage or changeover contacts capable of switching up to 300VDC at 10W .Available with 5V,12V and 24V coils .External magnetic shield options.Ideally suited to security,telecoms ,instrumentation,process control,industrial and automatic test equipment (ATE) applications. 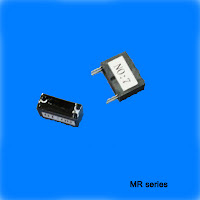 The MR series Reed Relay is our smallest dual-in-line relay ,Offers the same electrical characteristics as its larger SIP relay equivalent,and can be used as voltage relay .